Monturpie is stunningly set in an elevated position overlooking the Firth of Forth with fantastic views across to Edinburgh and North Berwick. We are ideally situated just a short drive from St Andrews and the East Neuk of Fife; Edinburgh is only a 45 minute drive away with the rest of Scotland to explore at your leisure. 28 caravan / motorhome pitches - all electric hookups. A majority are hard standings. 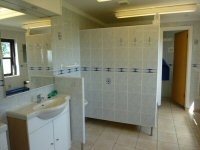 Lovely heated toilet / shower block / launderette with disabled facilities. 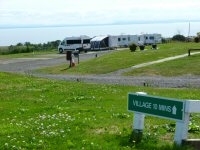 Pitches very well spaced out to give all visitors magnificent uninterrupted views overlooking the Firth of Forth. 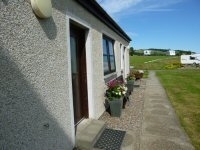 Ideally located for visitors to the East Neuk of Fife, St Andrews and the East Coast of Scotland. An adult only site allows the best opportunity for those of us that are looking for an all important relaxing peaceful break. A rally field is available for bookings in advance (Up to 40 pitches), contact us for further information. We also have a small licensed restaurant on site providing lovely home baking and traditional high teas.